Leave the car at home! 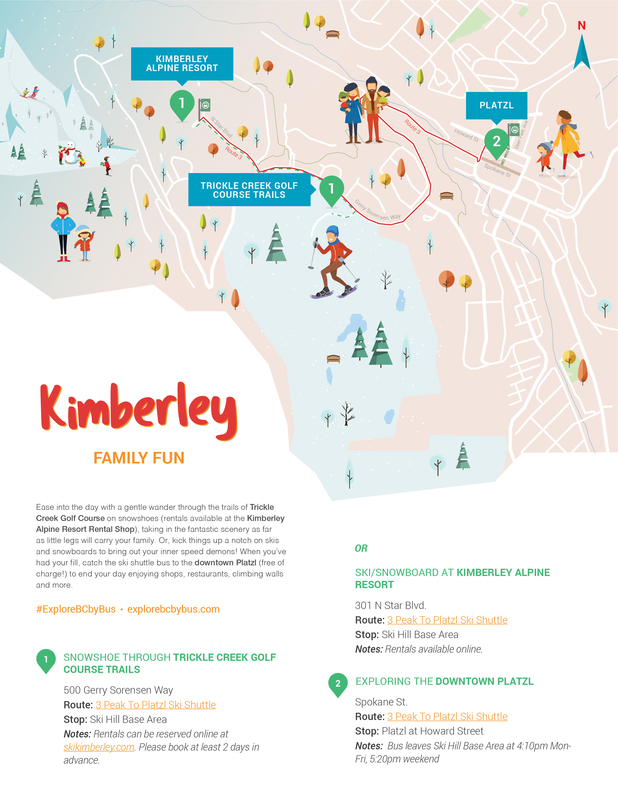 Check out these fun kid-friendly itineraries under $100. Spot feathered friends and painted turtles on a stroll around Elizabeth Lake Bird Sanctuary. Next, hit the skating rink or wave pool at Western Financial Place! 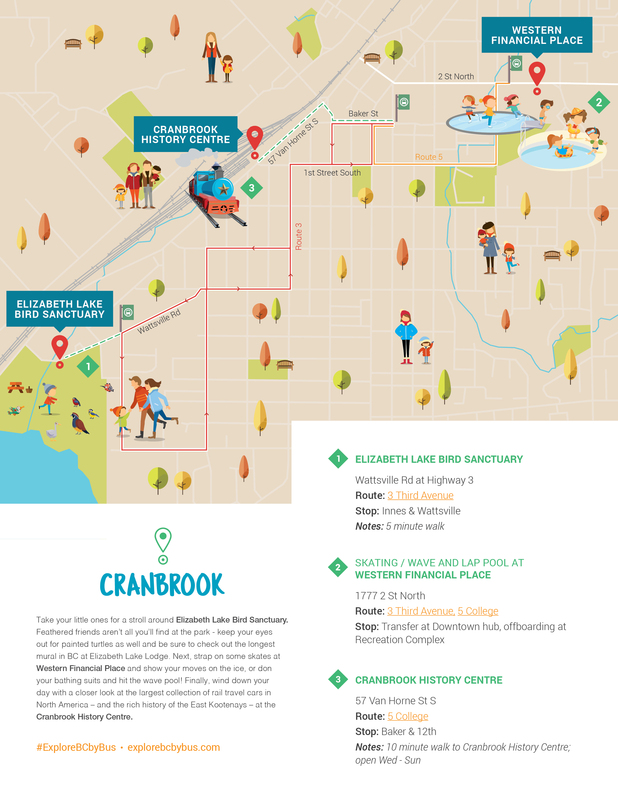 Finally, wind down your day with a closer look at the largest collection of rail travel cars in North America at the Cranbrook History Centre. Start your day with a gentle wander through nearby trails on snowshoes, or bring out your inner speed demons on skis or snowboards! 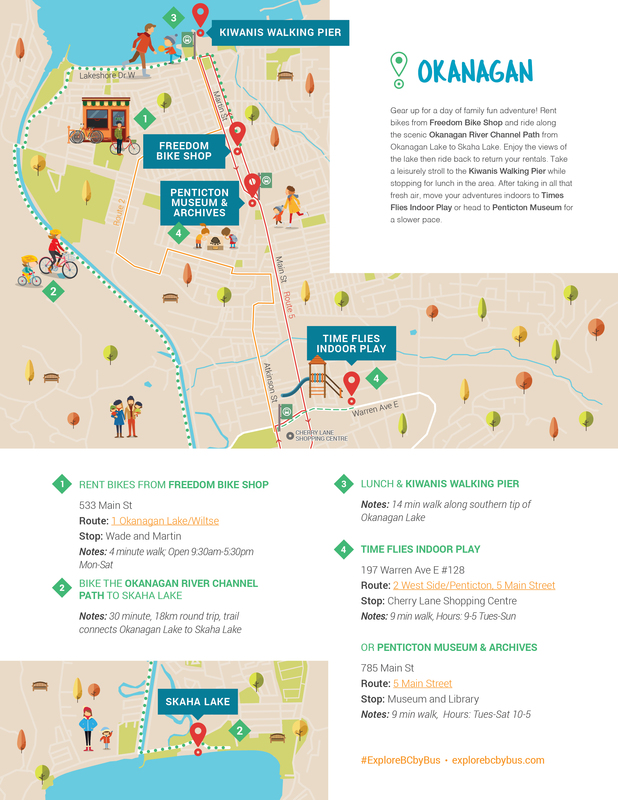 Then, take the free shuttle to the downtown Platzl for an urban adventure, winding down your day by exploring the local shops and restaurants. 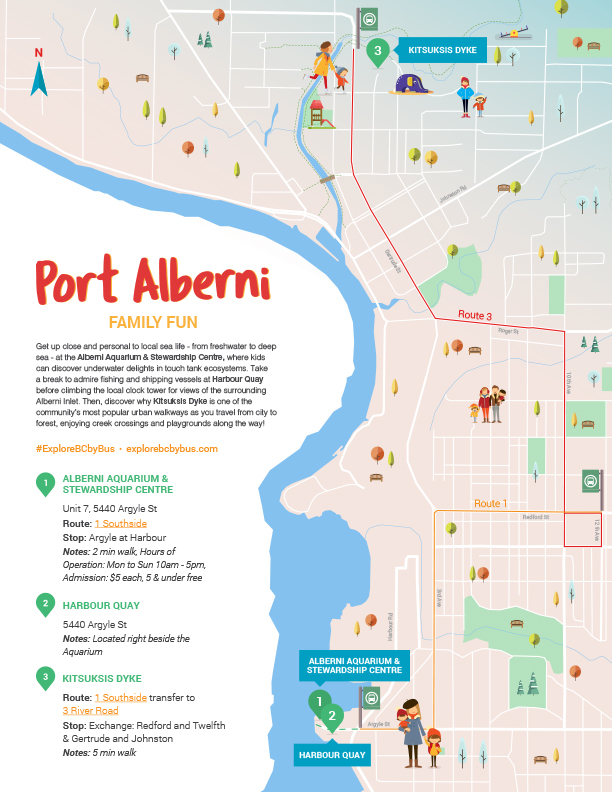 Get up close and personal to local sea life at the Alberni Aquarium, then admire visiting boats at Harbour Quay before climbing the local clock tower. Wind your way through creek crossings and playgrounds on the city’s most popular urban walkway at Kitsuksis Dyke. 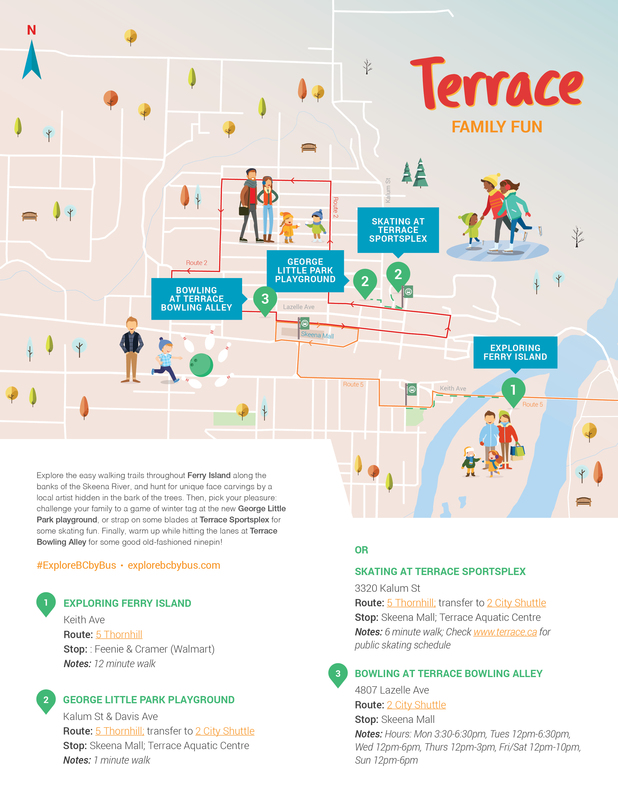 Discover hidden faces in the trees along the easy walking trails of Ferry Island, before heading to the George Little Park for some playground fun, or strapping on skates at Terrace Sportsplex. Wind down your day with some ninepin under the glow-in-the-dark lights of Terrace Bowling Alley. Rent bikes to ride along the scenic Okanagan River Channel Path from Okanagan Lake to Skaha Lake. 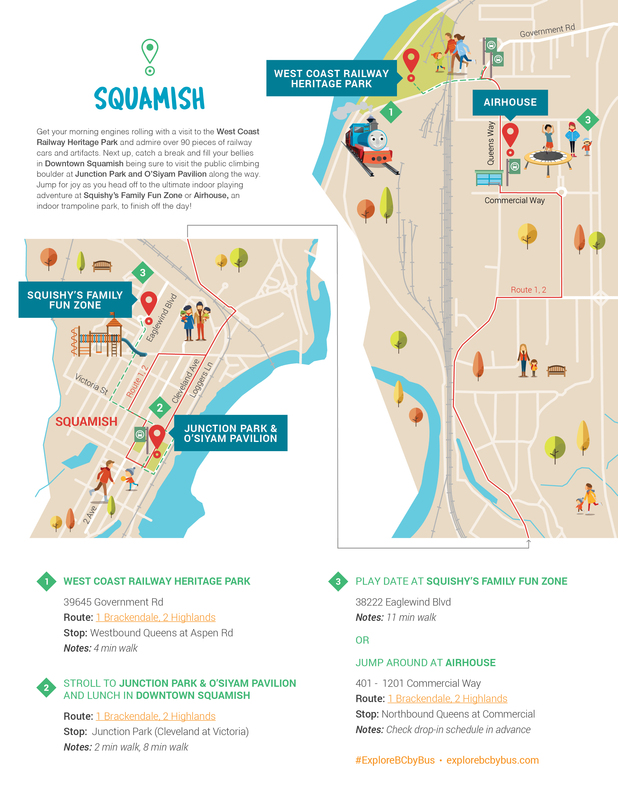 Take a leisurely stroll to the Kiwanis Walking Pier, then move your adventures indoors to Time Flies Indoor Play or head to Penticton Museum for a slower pace. Discover the history of Smithers at Bulkley Valley Museum before heading outdoors on a family hike. 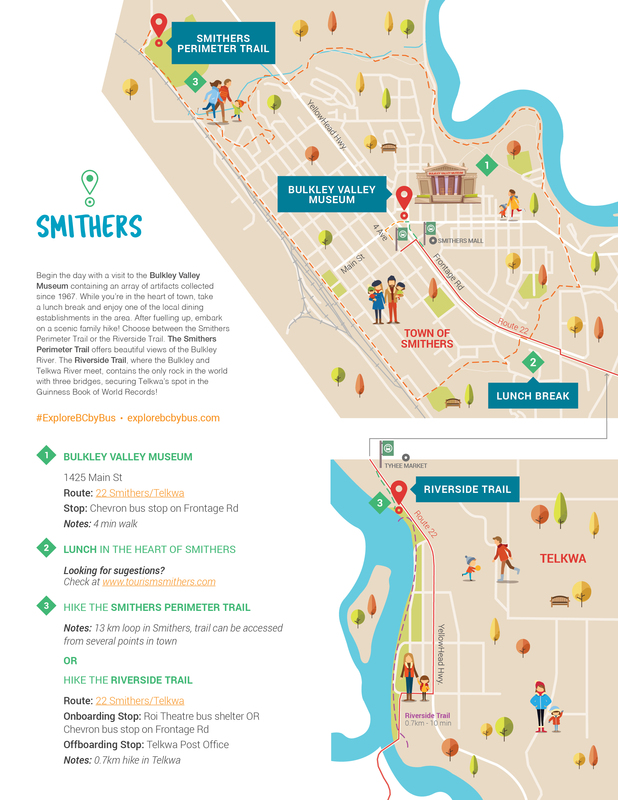 Choose from the scenic Smithers Perimeter Trail or the world-record setting Riverside Trail. Admire 90+ railway cars & artifacts at West Coast Railway Heritage Park, then take a lunch break after visiting the public climbing boulder at Junction Park. Jump out any excess energy at Squishy’s Family Fun Zone or Airhouse! Visit Cowichan Bay Maritime Centre to enjoy scavenger hunt activities and build your own miniature sailboat. Follow it up with an old fashioned ice cream at Original Udder Guys, while exploring hidden treasures on the beach at nearby Hecate Park. 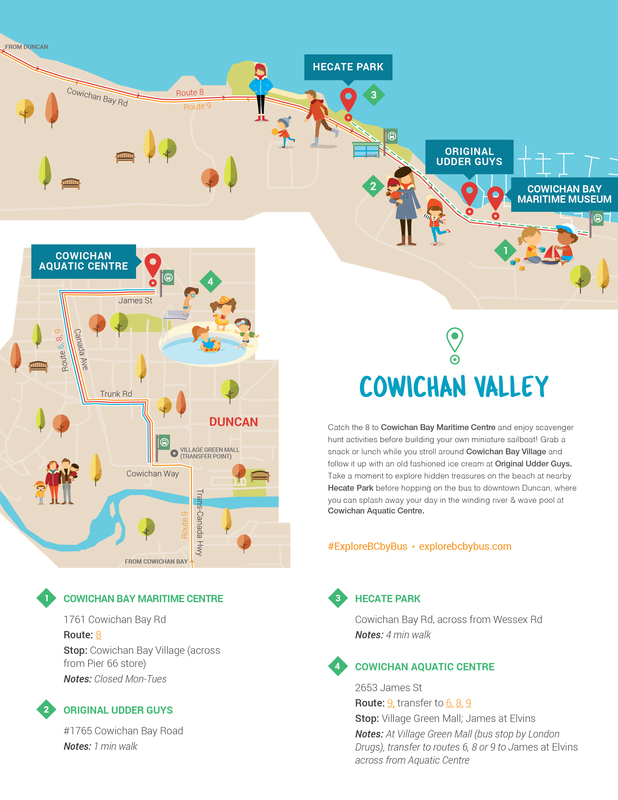 Head to Duncan to splash away your day in the winding river & wave pool at Cowichan Aquatic Centre.